Much like the kid in that movie Australia (although I could never claim to be that cute; and in my defence I watched it on a plane and it convinced me of the effects of altitude on cultivating one’s taste for schmaltzy movies) I too enjoy going walkabout. Never more so than in my own city. So Wednesday was a treat. 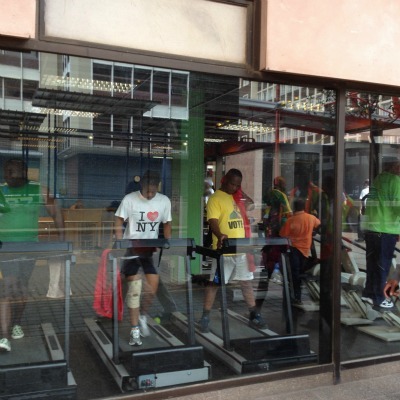 A chance to walk across the inner city with the Johannesburg Development Agency team. The occasion was the opening of nominations for the 2012 Halala Awards. The Awards are in their fifth year and they recognise the people and projects that are making the sometimes neglected, and often maligned inner city the place to be. Sharon Lewis, Executive Manager for Planning and Strategy, spoke about investment being a key driver in the realization of the vision of Joburg as a world-class city. 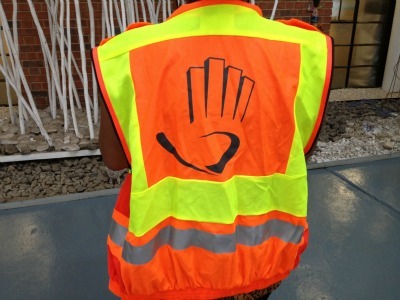 She mentioned an impact study conducted that found “for every R1-million invested in the city by the city, the public sector responded with R19-million”. These are critical partnerships. The Awards recognise the efforts “that inject momentum” into the city’s redevelopment. Since they were launched the JDA has received more than 300 nominations, each a story about the people who are working on the city’s future, and transforming it into a liveable, workable and playable space. The themes are set, these are stories of vision, hope, wings, prayers and a healthy appetite for risk. Walking the city I am reminded that the JDA and city officials have a tricky task to perform – balancing the interests of all those who live in it. For every building hijacked by gentrification, solutions need to be found for housing the urban poor, and ensuring the city attracts people from diverse economic backgrounds. But each time there is progress, more to see, more reasons to linger. Our walk started from the JDA’s offices at the Bus Factory in Newtown (it’s also home to the Unity Gallery where one of Newtown’s best-loved characters, The Prince, sells his astonishing collection of jewellery fashioned from cutlery – his exhibition opens at 2pm on Saturday). First stop was the Westgate station precinct, an area I have walked through a few times before. It’s in Joburg’s most historic district, what was once Ferreirasdorp, the place where – 125 years ago – Colonel Ignatius Ferreira first pulled up in his wagon and pitched a tent at the start of the gold rush. 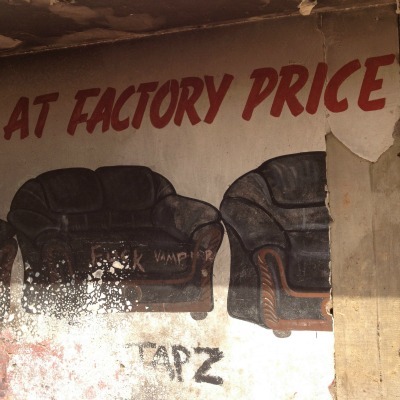 It’s where Joburg was born. 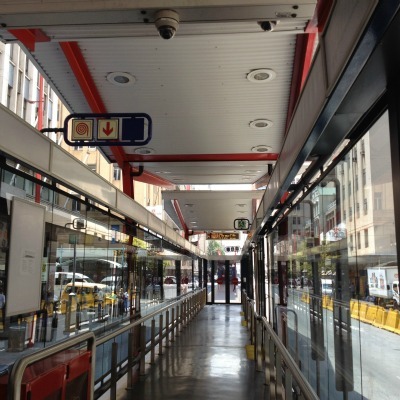 Soon his wagon will be displayed there, next to the Rea Vaya bus station and taxi rank. 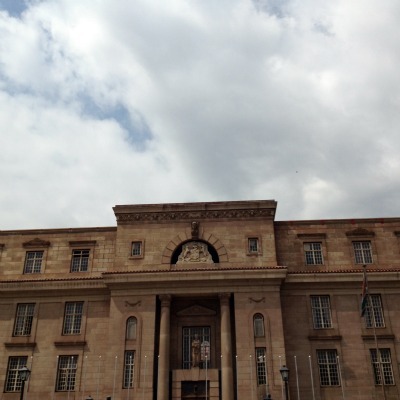 Other work has included creating great pavement space for pedestrians and the renovation and mostly recreation of Chancellor House, once the law offices of Nelson Mandela and Oliver Tambo, opposite the Magistrate’s Court. 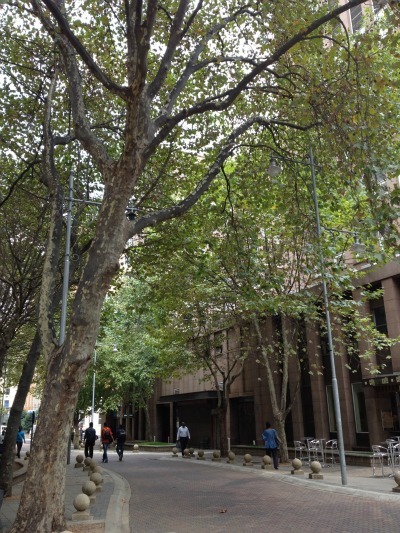 I have to say I love walking past a magistrate’s court – a throwback to my short time as a court reporter. You get to see people wearing a suit for the first time, and only because they have done some very bad things. It’s always way too shiny, and ill-fitting. The precinct had until recently been left behind by development, “hampered by perceived geological constraints”, a reference to the ground beneath it having been mined, giving developers and planners expensive headaches. But these constraints have proved to be not so insurmountable said Lewis, with technological advances. The JDA makes “catalytic” interventions into the city and the Westgate Station precinct is now set for further development with Stimela Square, a retail, residential and business development by Standard Bank set for construction. From there we headed down the pedestrian-friendly Main Street, home to the city’s mining houses, and one of the most successful urban developments in recent years (a previous Halala award-winner). 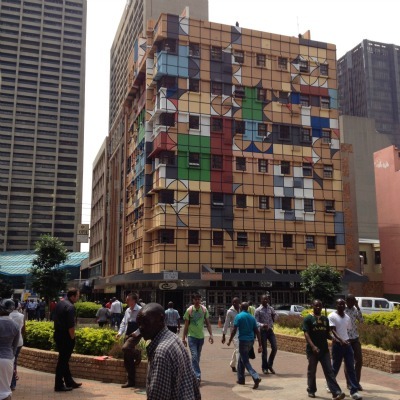 The walk takes you past tree-lined stretches, the majestic headquarters of Anglo American with its leaping springbok fountain and pretty manicured gardens, past cafes and opportunities to enjoy lunch in a courtyard in the city, past the mining artifacts that bring to life the city’s early history. There’s even a Woolworths Food store, a testament to urban regeneration that any Joburg resident can understand. 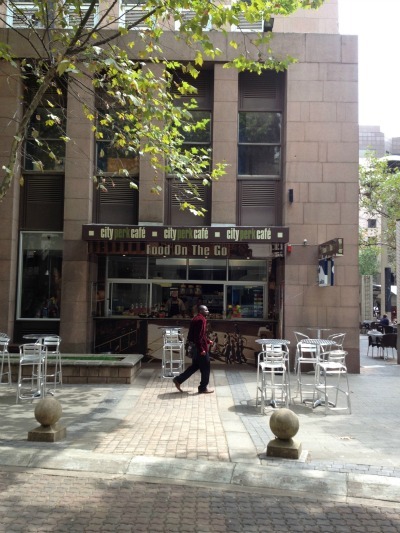 We walked past Gandhi Square (another previous award-winner) and on to Fox Street Mall, another pedestrian area that adds a other link to the spine from Newtown to the Carlton Centre. There we met up with developer Gerald Olitzki, the man responsible for the Gandhi Square and Fox Street developments. Olitzki is legend. He spoke about the transformation of public space that has changed the human traffic flow of the city. One of the challenges has been to attract viable and healthy street life back to that part of the city, to get people to not only commute in and out to their workplaces, but to walk the streets, shop, eat out, mix. “That’s what a city is all about”, he said. It’s still a work in progress, as he pointed out the last hijacked building in that part of the city, but Olitzki is undaunted and judging by what he has accomplished so far there is good reason to believe his vision will prevail. While I am a believer, I have long been skeptical of the city’s many efforts that seemed to try revive one patch of town while neglecting to create linkages with other patches that would create a safe channel through the city. 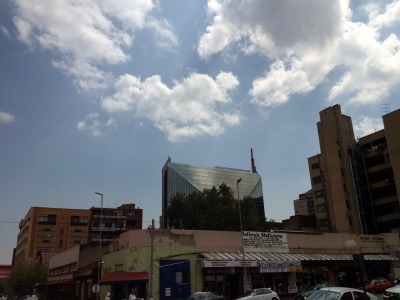 Newtown, long touted as the cultural heart of Joburg city, had money poured into it over successive phases of development but remained, for a long time, marooned. So to be able to walk from one side to another in a space created with the walker in mind, was bliss. Well, for a short while anyway. 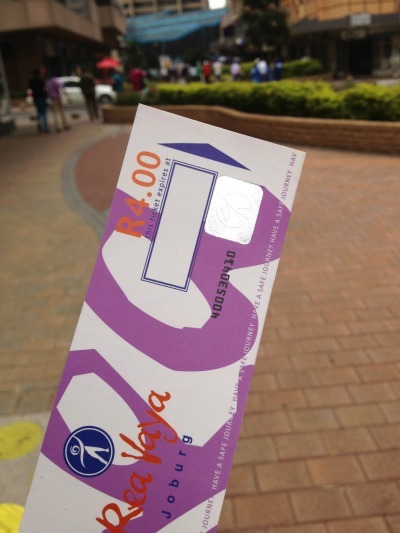 We hopped on a Rea Vaya bus on Commissioner Street and made our way back to the start. I can recommend it. My plan, at some point, is to test the bus system by hopping on and off across the city. Each week brings new reasons to make the trip. Last week I went to see the Candice Breitz exhibition at the Standard Bank Gallery uptown and had a great sushi lunch at one of my favourite spots, Mikayu, on Simmonds Street. (Both are highly recommended). 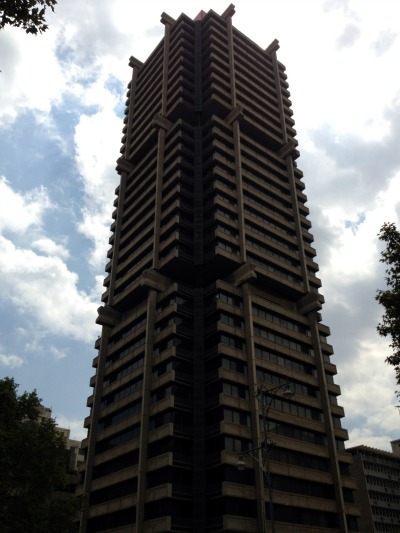 The newly refurbished Johannesburg Library is also on my itinerary. And if you do travel across town over the next month make a note of the regeneration efforts that impress you, and take the time to nominate a candidate for one of the seven categories of the Halala Awards. Think about what you can do for your city, and what a livable, playable, workable city can do for you. This entry was posted in architecture, Johannesburg, outdoors and tagged Australia, Johannesburg, Johannesburg-Development-Agency by lauricetb. Bookmark the permalink. Wonderful. What an incredibly dynamic, richly historical and cultural city we have. Thank you for sharing.